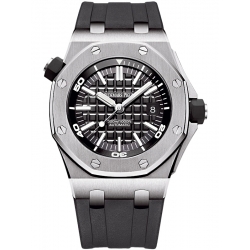 The Royal Oak Offshore amazes its lovers by appealing craftsmanship and unique style! 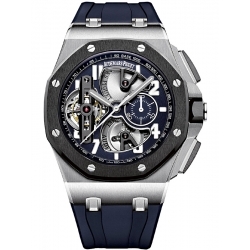 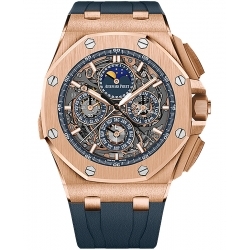 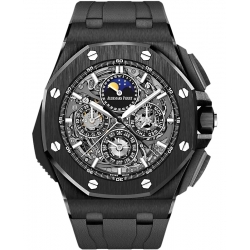 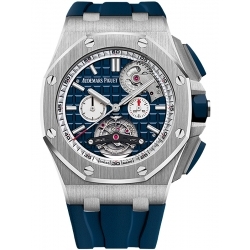 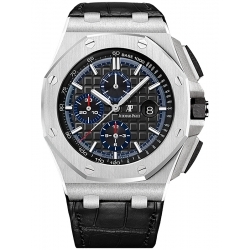 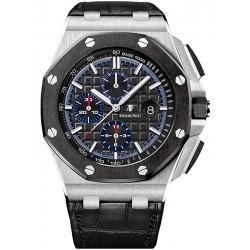 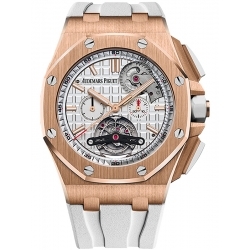 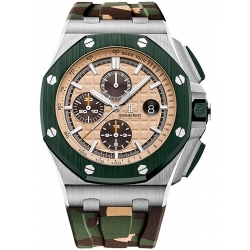 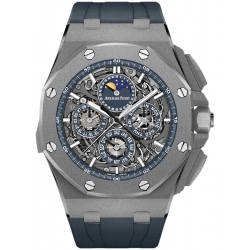 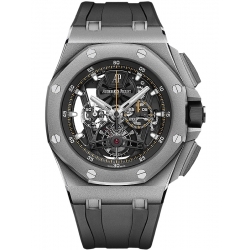 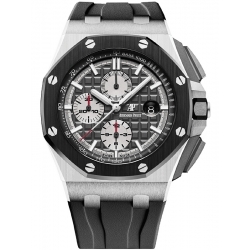 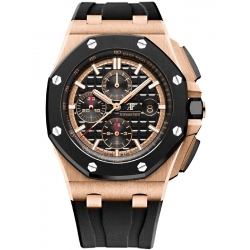 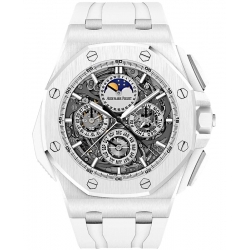 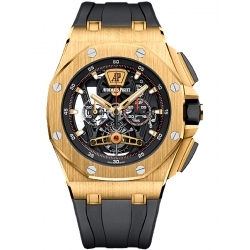 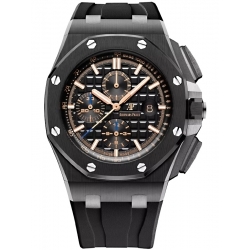 The collection is the bigger, more aggressive brother of the famous Royal Oak collection by Audemars Piguet. Its history has begun in 1989 when Emmanuel Gueit, a designer of the company, presented a conception of the refreshed Royal Oak watch. 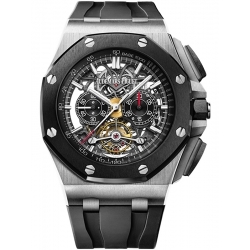 It's been able to set new standards for the future styles with the 42 mm diameter which is a generous size for wristwatches. 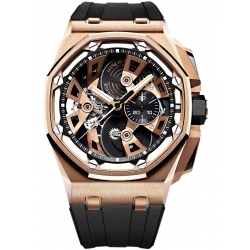 It features 8 screws on the octagonal bezel with stylish tapisserie that makes the timepiece look unique. 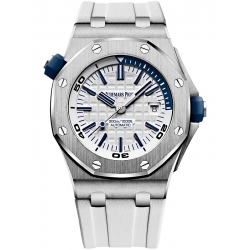 The durability of the Royal Oak Offshore has been enhanced by adding push-piece guards to the sides of the case. 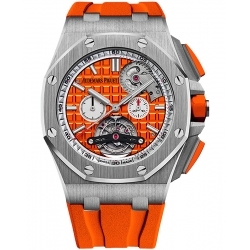 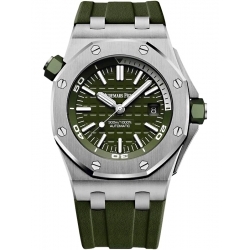 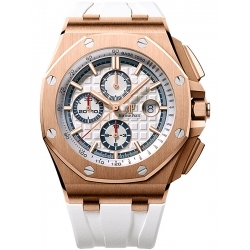 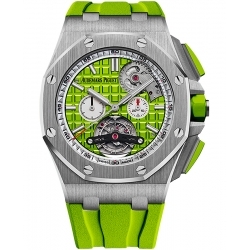 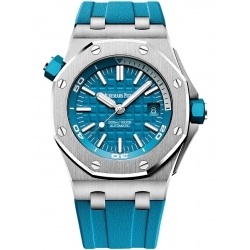 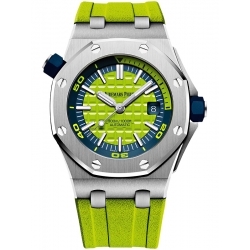 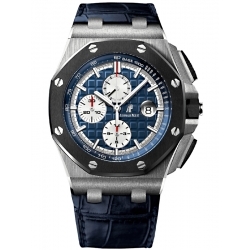 Audemars Piguet Royal Oak Offshore watches are available in some eye-catching variations!